Some day, I think I’ll write a book about the Emperor Constantine I (‘the Great’, r. 306ish-337) for the popular audience. It seems to me that quality research about the man has been conducted within scholarly circles in recent decades, yet popular audiences continue to believe not only old stories but new ones made up since the old stories were overturned in a scholarly discourse no one but other specialists reads. And I don’t begrudge scholars the specialist literature. I am going to contribute to it the moment my first publication hits the presses. Nonetheless, sometimes this knowledge needs to step beyond the Ivory Tower to the mean streets of the ‘real world’. The educated reader doesn’t go to Dan Brown for history because she is too busy reading the quite good BBC History magazine to fill her hours. And here we have Michael Wood basically giving us Dan Brown, at least as far as Constantine (Constantine!) is concerned. Wood may be a good scholar of Anglo-Saxon Britain, but he needs to put better investment in the history of Christianity. I won’t deal with the enormously debatable things he says about Jesus, Paul, and how Paul apparently constructed the narrative of the Jesus of faith, although I understand that Pauline studies has got beyond that sort of thinking these days, and large books by clever people point to a collective belief in the Jesus of faith on the part of all the apostles, not just Paul. Whatever. People who do Biblical Studies can do that. Let’s look briefly at Constantine, because not even PhDs seem to have a clue what influence he had. Now, maybe my problem stems from the fact that Wood does not even tell us what the Jesus of faith looks like. It’s the sort of trigger phrase that I’d think Wikipedia would flag. It means too many things. And within the things it means, Wood’s description of the Jesus of history is included, simply amplified. This leaves me no alternative but to imagine that Wood means, by the Jesus of faith, the Jesus who redeems the world and the Jesus who is God. What does Constantine have to do with either of those? The former — pretty much nothing. The idea of Jesus’ death and life as redeeming and atoning for sin and bringing humanity to God, besides being in the New Testament, is at the forefront of the Ante-Nicene Fathers, most especially St Irenaeus of Lyons (fl. 180s) but, if I could remember names, all over the place elsewhere. The latter — well. That’s a funny story. You see, the Dan Brown version goes that there were these really happy, liberal, feminist Gnostics whom the angry, conservative, patriarchal orthodox destroyed at the Council of Nicaea under big, evil Constantine who wielded imperial power for the Church. I’ve shaken my head at this before. 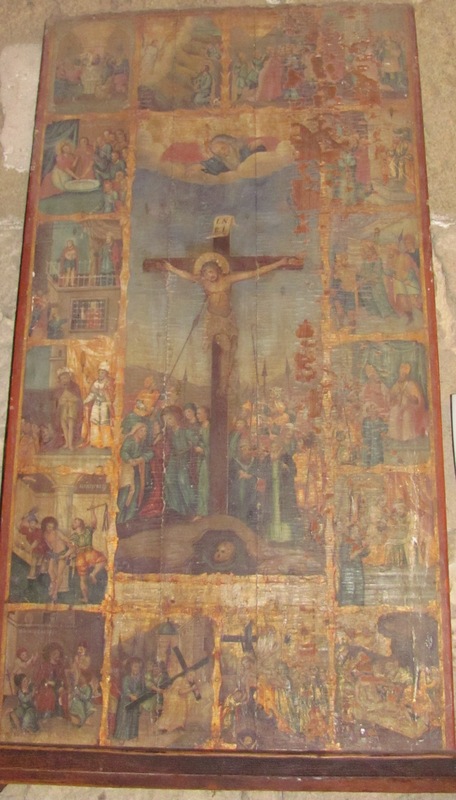 Only the Gnostics have nothing to do with anything in the major events of church history starting in the 300s, a fact I’ve wondered at on this blog. Nicaea was a debate between ‘Arians’ and … um … ‘Nicenes’ … about the divinity of Jesus. And the remarkable thing is, the ‘Arians’ would have been willing to say that Jesus was/is God. Well, some of them. Not a homogeneous group (neither are the ‘Nicenes’). They just would have rejected the idea that Jesus is of the same substance (homoousios/consubstantialis) as the Father. I mean, at bottom-line Arianism. The theology that was being argued at Nicaea was two sides of the theology borne not only from the New Testament Scriptures but the logos theology of St Justin Martyr (d. 165) and Origen of Alexandria (184-253) that takes John 1 with the utmost seriousness and tries to see how it works that Jesus, who is the logos, is also theos. And, outside of the high-flying theology, we have Melito of Sardis, c. 170, proclaiming Christ as God in unequivocal terms. So also does Polycarp in his martyrdom and the martyrs of Lyons and Vienne in like manner. Christians believed that Jesus was God. So what did Constantine do?? What Nicaea did was help settle an unsettling conflict about how the faith in Jesus as God was articulated and what it means for Christians to believe it. It wasn’t actually settled until 381 within the empire, and persisted amongst the ‘barbarians’ for centuries. This is to say: the Jesus of faith existed long before Constantine, and someone like him would even have been believed in by today’s media-darling Gnostics. Irenaeus proclaims that the whole church throughout the world believes this regula fidei, or ‘rule of faith’ (the Greek is lost). A regula is a rule as in a straight line or a ruler. The regula is a guide to the content of the faith. His multiple statements vary in wording and in how much Irenaeus puts in, but they never differ. This, for Irenaeus, is Apostolic orthodoxy, handed down to the churches through the Apostolic Succession (we looked at this here); it runs counter to his great opponents, the Marcionites and the Gnostics. Some may wonder how widespread Irenaeus’ orthodoxy really was; I would wager it was common enough in Gaul (France) for him to be elected bishop of Lyons, common enough in Asia Minor for him to think it traditional. 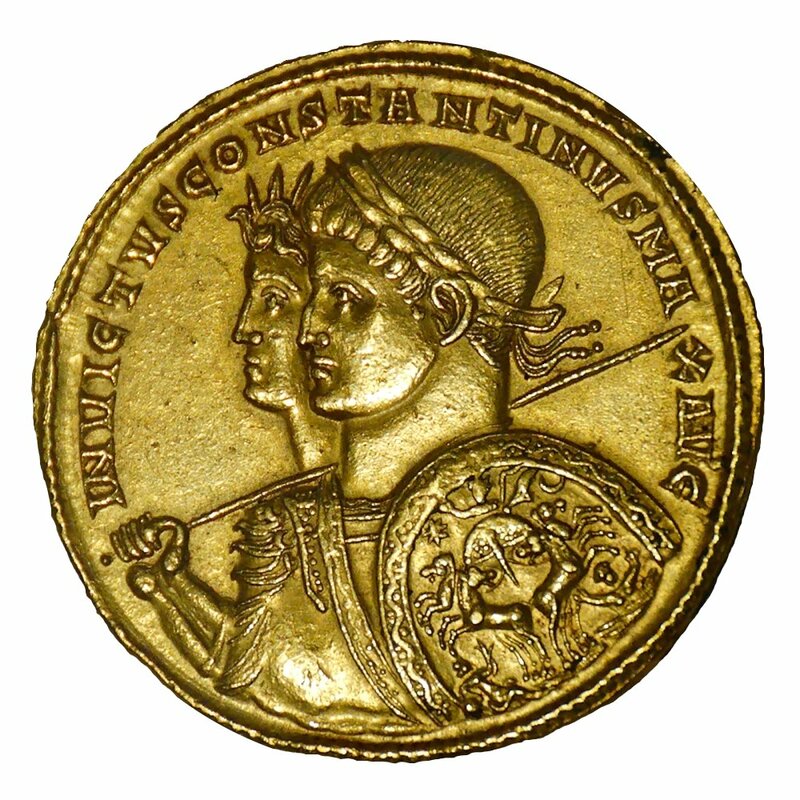 It was common enough in Rome for Justin’s regula to be about the same, as well as for Tertullian’s Carthaginian regula. It looks like earlier and contemporaneous eastern baptismal formulae as well. What this means, friends, is that something that looks very much like orthodoxy pre-dates Constantine. It may not be as precise as Nicene orthodoxy, but it is part of the journey that leads through Nicaea to Chalcedon. Yes, there were competing ‘orthodoxies’ or ‘Christianities’ such as the various forms of ‘Gnosticism’ and the Montanists of last week and the Marcionites and the ‘Judaising’ elements (‘Ebionites’ and ‘Quartodecimans’) and, later on, Donatists and Meletians and Paul of Samosata. It also reminds us that the Church has ever sought to keep itself aligned with Scripture and that lenses such as Creeds exist to help us read the Bible well. Some claim, ‘No Creed but Christ!’ But the Gnostics read many of the same Scriptures as us, as did the Arians, and they came to very different conclusions. How can we know what is the true deposit of the faith, how can we know our reading of Scripture is faithful? Irenaeus, with his rule of faith, shows us. If we believe these things, we are on the right path. If you remain unconvinced, I recommend works by Baptist scholar DH Williams; the introduction to Scripture, Tradition, and Interpretation is the quickest, accessible route to his thought. If you are convinced, I hope you will not discard the creeds and their content, even if you tire of their exact wording. 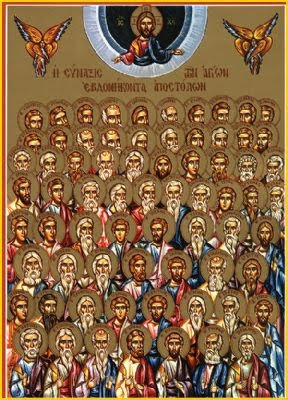 They help preserve an unbroken line of teaching that brings us to the very feet of the Apostles who walked with our Lord Christ. I have previously posted about Biblical interpretation in “Killing Enemies & Bashing Babies on Rocks: Reading the Difficult Psalms” parts one & two and in “Layers of Meaning.” Today’s post is spurred on by yesterday’s. Sam Harris argues in Letter to a Christian Nation that the Bible does not offer a clear statement of morality (p. 33). He uses the expected argument by taking civil laws from the Pentateuch and saying that the injunctions to stone various people and sell as slaves to be evidence that the Bible does not direct people to live lives of compassion and love. He further argues that Jesus himself bolsters the Law by saying that not one jot or tittle of the Law will be erased. He also argues that eschatological statements about God’s coming judgement will also make people violent (pp. 13 & 14). How can we reconcile this apparently garbled account of morality? Indeed, the Good Book gives us leeway to kill heretics or to forgive them if we read the way Harris does. We must read it systematically. If you approach the Bible expecting it to be garbled and unclear, you will be rewarded with a garbled and unclear text. If you approach it expecting it to be capable of being clarified, you will find that you can produce a systematic morality and theology from the Bible. Nevertheless, you could potentially create a heretical morality and theology. You could end up a polygamous Mormon. You could end up an Arian. Depending on your translation, you could end up Jehovah’s Witness. You could end up Nestorian, or Monophysite, or the average Anglican. Where do we turn? We must abandon any idea that sola scriptura means the Bible interprets itself. It does not. And if sola scriptura means the Bible interprets itself, then sola scriptura is wrong. Thomas C. Oden, in The Rebirth of Orthodoxy, remarks that the texts of the New Testament were written as a way of preserving the oral tradition that had been handed down from the days of the Apostles. The spoken word is alive, but — as anyone who has played the Telephone Game knows — it is fragile and open to manipulation, both accidental and malicious. When we look at the community that accepted the New Testament documents as being authoritative, we see that various factors are at play when these early Church Fathers interpreted Scripture. The first factor was the “Rule of Faith” or regula fidei, Irenaeus’ (d. c. AD 202) account of which looks a lot like the Apostles’ Creed (see Chadwick, The Early Church, p. 44 and Webber, Ancient-Future Faith). According to Irenaeus, the Rule has been handed down from the Apostles through their successor bishops. Tertullian (AD 160 – 220) said that the Bible was to be interpreted by the Rule of Faith. This is the first piece of the Patristic puzzle of biblical interpretation. The second factor at play is the lens of Christ. As Christians, we are worshippers of Jesus Christ. He is the cornerstone of our faith. It is his teachings that we are following. Therefore, everything should be read in relation to Jesus. I cannot think of a patristic source for this at the moment (my apologies), but the idea is, first, that Jesus trumps all. The Sermon on the Mount sets the standard for our conduct. Thus, no longer is eye for eye and tooth for tooth. Lustful looks count as adultery. Hatred is murder. The behaviour of Jesus, as encapsulated in the Woman Caught in Adultery, is to be our exemplar. Thus, no more stoning of homosexuals, heretics, and witches (burning isn’t allowed, either). Tertullian says that in disarming St. Peter, Christ disarmed every soldier. Worth a thought. I admit to not knowing how it is that not one jot or tittle will be removed from the Law while at the same time Jesus gives us standards of living that run counter to enacting the civil punishments of the law. However, I think that if we take a third principle, that the Old Testament (aka “Hebrew Bible”) is to be interpreted by the New, then things move forward. The lens of Christ tells us that Jesus has taken away our sins on the cross, and Hebrews tells us that we no longer need the sacrifices and ceremonies of the Temple because of the Cross. Thus, out go Jewish ceremonial laws. We are also freed from them by Acts 10, when St. Peter has the vision of the sheet full of unclean animals which he is told to eat. St. Paul in his many letters also shows us that we are free from living under the civil & ceremonial Law when he says that we are saved and live by faith, and that the law won’t save us. However, since Jesus takes the moral standards of the law very highly, then we are stuck following the morals of the Old Testament law. This will show us that, while we can’t stone people for being homosexuals, heretics, and witches, we know that we shouldn’t engage in the practices associated with them. Thus, when we read Scripture, the Rule of Faith (the Creeds), Christ, and the New Testament should be used as our keys to intepreting the difficult passages. The clearer should also be used to illuminate the obscure. This was the way of the Fathers, and it should be the way we follow as well. *This is the source for nonviolence as practised by Martin Luther King, Jr. King got it from Gandhi who, contra Harris (p. 12), did not get it from the Jains but from Tolstoy. Tolstoy got it from Jesus and the simple faith of Russian Orthodox peasants.